A moving portrait of a modern American family, When She Came Home reminds us that some things — honor, acceptance, and, above all, love — are truly worth fighting for. Madora was seventeen, headed for trouble with drugs and men, when Willis rescued her. Fearful of the world and alienated from family and friends, she ran away with him and for five years they have lived alone, in near isolation. 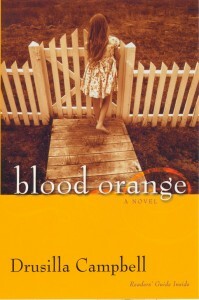 But after Willis kidnaps a pregnant teenager and imprisons her in a trailer behind the house, Madora is torn between her love for him and her sense of right and wrong. When a pit bull puppy named Foo brings into Madora’s world another unexpected person–Django Jones, a brilliant but troubled twelve-year-old boy–she’s forced to face the truth of what her life has become. An intensely emotional and provocative story, Little Girl Gone explores the secret hopes and fears that drive good people to do dangerous things… and the courage to make things right. 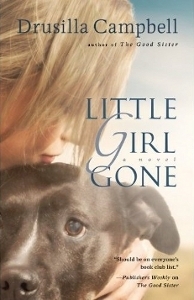 Read from Little Girl Gone! Roxanne Callahan has always been her younger sister’s caretaker. Now married, her happiness is threatened when she must choose between her husband and the beautiful and emotionally unstable Simone. Suffering from crippling postpartum depression, Simone has committed an unforgivable crime for which Roxanne comes to believe she is partially responsible. In the glare of the national media attention brought on her sister, Roxanne fights to hold her marriage together as she is drawn back into the pain of her troubled past and relives the fraught relationship she and Simone shared with their narcissistic mother. 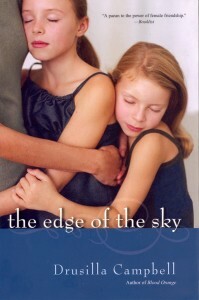 At the same time, only she can help Simone’s nine-year-old daughter, Merell, make sense of the family’s tragedy. 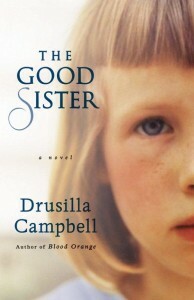 The Good Sister is the story of four generations of women struggling to overcome a legacy of violence, lies and secrecy, ultimately finding strength and courage to endure in their love for each other. 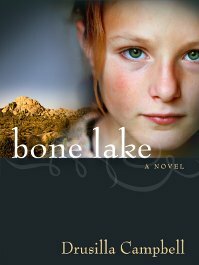 A recently orphaned eleven-year-old girl whose parents were members of a militaristic Christian fundamentalist group known as the Vanguard is sent to live with her uncle in Bone Lake, a small town southeast of San Diego, after her parents were killed in a fire at the compound. There she is pursued by the FBI hoping that she will give them details about the group and its supporters. Dana Cabot cannot remember the kind of person she was before May 29th, the day she became angry at God, at her workaholic attorney husband, and herself. The day her seven-year-old daughter, Bailey, disappeared. As the months wear on without a trace of her adorable but troubled child, Dana can’t help blaming her husband’s controversial defense of an accused abuser for playing a role in the abduction – and it shows in the strain on their marriage. But then a shocking event offers a clue to what really happened to Bailey – and Dana’s unwitting part in it. Haunted by the unthinkable consequences of revealing everything she knows, Dana must decide whether to keep the truth to herself – or risk losing the rest of her family. Lana Porter had it all – a happy marriage and two wonderful teenage daughters – until the awful night when her husband’s truck was hit by a drunk driver and her idyllic life fell to ruins. Since then, she has struggled to be a good mother to her girls, Micki and Beth, and a supportive sister to Marlene and Kathryn, whose own lives are in turmoil. Every day seems to bring a new challenge – and now a man in a Jaguar is stalking fifteen-year-old Micki and the police aren’t interested. Thank goodness Beth is a practically perfect daughter. Or is she? They have been friends since childhood. And they have a secret. It has been over thirty years since the words “Bluegang Creek” passed their lips. Because something that happened near that shady stream has shaped their lives – and haunted their darkest hours. Now, Liz can no longer bear the silence. What she is about to bring out into the light will test the very limits of friendship – and take all three women back to that fateful summer day when their innocence was shattered forever. 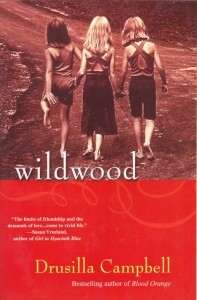 A novel of friendship and forgiveness, Wildwood brings to life the lengths to which women will go to protect themselves – and each other – in the name of loyalty…and in the name of love.